Associated Press announces that La Toya’s book is scheduled to be launched next week. It’s been two years since her brother and “King” Michael Jackson has died from an overdose of sedatives. His doctor, Conrad Murray, the one who prescribed the medication for him, was accused of involuntary manslaughter, to which he pleaded non guilty. The trial is to start in September. When confronting dr. Conrad Murray to find more about what happened with her brother,, just a few hours after he was pronounced dead, the doctor only gave him evasive answers and excuses. In the book, she also mentions that suspiciously, Michael’s bedroom was “torn to pieces”, with al the furniture turned upside down and items scattered about, which included notes that she thinks that were written by him indicating that he wanted his father’s help to take “these people out of my life” and that he “only agreed to 10 shows.” His last tour initially consisted in 10 concerts, but after the tickets were all sold out, 40 more concerts were added to the tour. After reading her book on Michael’s final days, fans have another one to wait for. 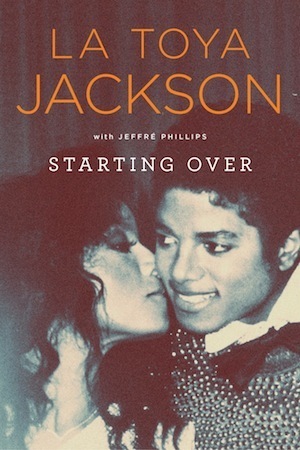 Michael’s brother Jermaine Jackson will launch a book of his own coming up in September. He will share the story of the Jackson family from a new perspective. Now, come on, I attended everyday of the preliminary hearing and listened to every witness, and NO ONE said anything about the room being in disarray and furniture turned upside down, even days after visiting the property. And the AEG contract clearly specified 30 shows, never 10 shows, plus there’s a street interview with designer Christian Audigier in which he first reveals that MJ will be touring for 3 months maybe more, so it doesn’t take 3 months to do 10 shows. All the inaccuracies, slip-ups, setups, evidence, proof and clues, leads me to believe that Michael Joe Jackson is not dead. Know what I know, watch the jaw-droppingly FACTUAL documentary “Alive! Is Michael Jackson Really Dead?” It will blow your mind, I promisee! i love the cover, i wish the jackson the best and i hope michael gets justice. MJ killed himself, Don’t they mean Stepchildren & Stepdaughter? we will all face judgement some day. It doesnt matter what type of death or when or why. Our deeds will be before us on that day. Its coming soon! No need 4 long talk,if truely MJ is dead ‘may hisoul rest in peace…’ RIP KING.